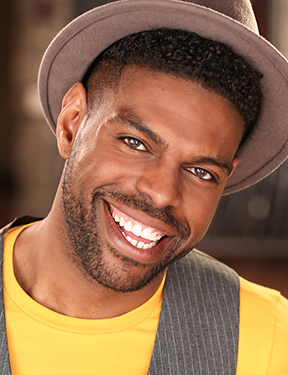 Most commonly known as an actor, Arzell’s breakout, and award-winning, premiere as a Chicago choreographer came with Oracle Productions’ The Hairy Ape. The Detroit native received his first training while at Miami University. In Chicago, he has worked as a dancer, choreographer and instructor at Joel Hall Dancers & Center, Porchlight Music Theatre, Vagabond School and The Goodman Theatre (for their Musical Theater Program). Developing his own style of dance (hip-hop, jazz, modern, lyrical, contemporary and body percussion) and storytelling, movement credits include: We Are Proud to Present (Steppenwolf Theatre), Poseidon! (Hell in a Handbag), The Total Bent (Haven Theatre/About Face), Rightlynd, The House That Will Not Stand (Victory Gardens Theater), Night Runner, Wig Out (DePaul University); Julius Caesar (Writers Theatre), Marie Christine (BoHo Theatre), The Wiz (Kokandy), Scottsboro Boys (Porchlight Music Theatre), and more. His talents have allowed him to work all across the U.S., Canada, England, Italy, Germany, Denmark, Singapore and Malaysia. Click here to return to the Head Over Heels page.